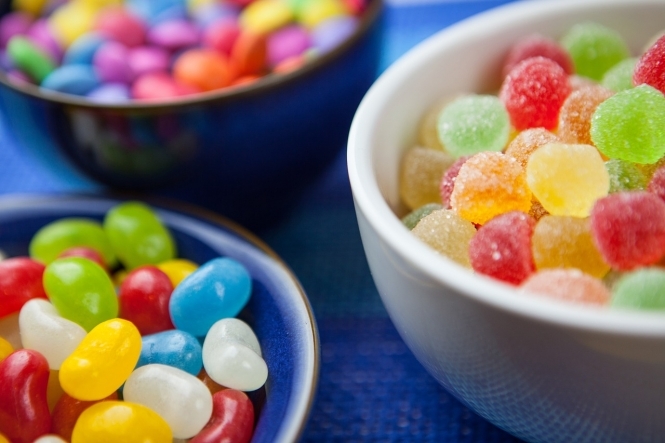 Two in five of the sweets on sale in France today do not conform to food and drink regulations on sugar, additives or acid, according to new analysis from the DGCCRF. Sweets - including “pic’n’mix” style gums and the traditional hard-boiled variety - are regularly tested by the DGCCRF (the Directorate-General for Competition, Consumer Affairs and Fraud Control; la Direction générale de la concurrence, de la consommation et de la répression des fraudes) because of their high sugar content, and likelihood of containing additives and artificial colours, explains consumer website Radins today. These tests are intended to limit the risk of “poisoning” among the general public, and also to ensure that any new allergies to certain substances are noticed as soon as possible. In its most recent analysis, the DGCCRF found that 40% of sweets do not conform to the current food and drink rules in place, especially those concerning additives and sugar. Many contained too many additives and dangerous colourants, and ingredients that were not considered 100% safe. Some were also found to have too-high pH levels, and were too high in acid. If the sweets were to be consumed in large quantities, these problems could cause unwanted symptoms in affected consumers, including headaches, vision problems or stomach aches and pains. In response to its findings, the DGCCRF has issued 11 protocol warnings to eight sweet manufacturers concerned, as well as one to a distributor, and one to a fairground merchant. Fairs - which traditionally sell a huge amount of sweets - often come in for particular scrutiny from the DGCCRF.